March 2nd, 2019 (9:16 PM). Edited 2 Days Ago by Gator Gamer. 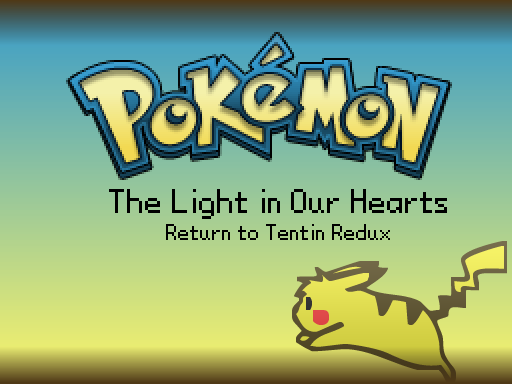 The Light in Our Hearts is a story that follows the adventure of you and Alexa, your partner, as you travel through the Tentin Region, four years after the events of Tentin Redux. Through your journey, you two will eventually discover what makes you special. The lights in both of your hearts, shining through darkness and light. Skilled Mode - Optional method of playing where enemy Pokémon are scaled depending on your team! 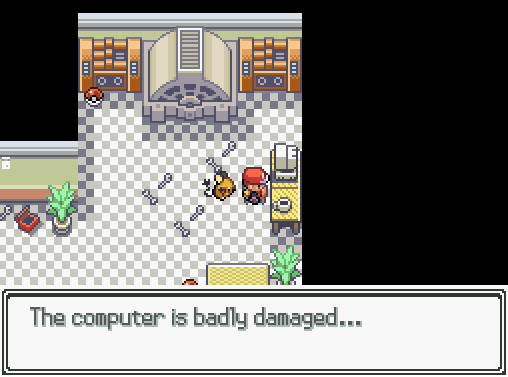 Wild Pokémon are affected, too. Grinding spot - A Trainer in the Battle Company in Sparkpaku City can be battled once daily with two Blissey! Great for grinding! Friendship Checker - Call them anytime on the Pokégear, to check if your Pokémon's friendship levels! Mach Pizza - A pizza delivery service that will deliver HP-restoring pizza anywhere you are! The Move Master - Can be called anywhere and can relearn moves, delete moves, and change nicknames! The Guide - Can be called any time. He will tell you where to go next if you're lost or forget where to go. Advanced Pokédex - Will let you see all info on Pokémon you've caught, such as its Abilities, area, and evolution, and more! Zodiac Signs - All Pokémon have Zodiac signs which can be used to help inside or outside of battle! Following Pokémon - Enjoy your journey with your buddy following you! Quicksave - Quicksave the game anytime, quickly! Default key is 'V'. Can be changed in Options menu. Controls Menu - The in-game controls can be edited to your liking anytime! 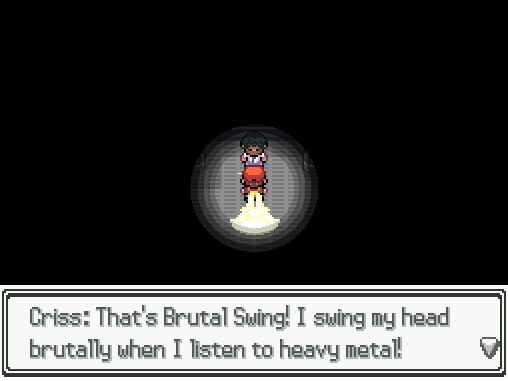 Many Pokémon had edits to their movesets. To view these changes, check the "Advanced" tab on the Pokédex! - Added Relic Stone in deepest part of Burned Woods. To unlock a Shadow Pokemon's heart, it works the same as it does in Pokemon Colosseum. (For instance, send it out in battle or simply walk with it. - Changed Sparkpaku's layout a bit. Same for festival. 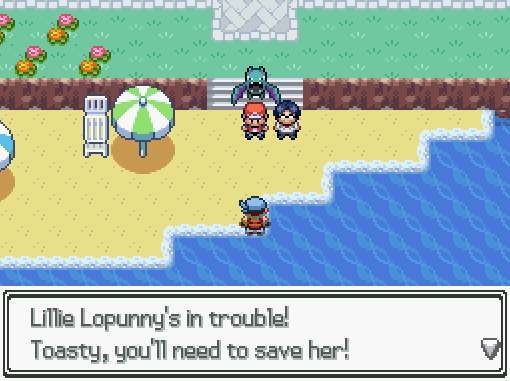 - Misty Terrain now prevents confusion, just as in Gen. 7. - Just as in The Camry Legend, Zodiac sets are no longer completely random. March 4th, 2019 (7:39 AM). March 4th, 2019 (10:56 AM). March 4th, 2019 (12:15 PM). Thanks for choosing to play this! I hope you enjoy! Please tell me how it goes! March 7th, 2019 (11:56 PM). March 8th, 2019 (5:33 AM). The game looks great, how long is this game? How many badges? March 8th, 2019 (5:53 AM). The game is about 7 hours long, I'd say. If you played at a normal pace. There are 8 badges in the game, like you'd normally see. March 8th, 2019 (5:58 AM). Thanks for playing and finding these bugs. 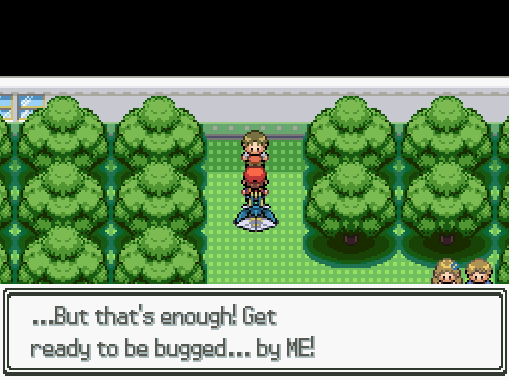 I'll look more into this bug. If you are playing version 1.0, I did release a new update yesterday. If that isn't downloaded, see if that fixes the problem. But I'l fix the other bugs and release a quick update today! March 9th, 2019 (4:30 AM). Edited March 10th, 2019 by DashFeenix. Hi. So I got the 7 March Update version and am no longer stuck at the fisherman. Thanks for the advice. 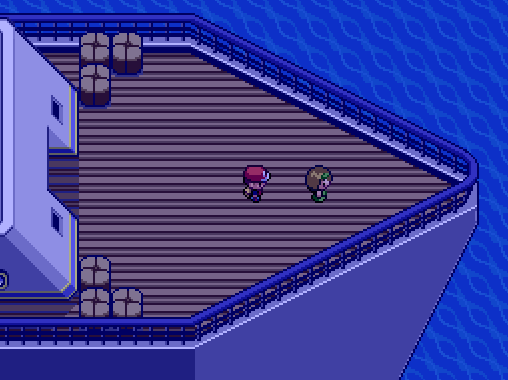 Edit: I've just gotten to the fire gym and it seems important (like all the pirates)/important-ish (e.g., a "festivalgoer Jake") NPCs' sprites tend to be invisible but you can still interact with them. It might just be because I didn't start a new save, maybe. March 10th, 2019 (4:14 AM). March 10th, 2019 (12:18 PM). I just figured out the problem... I just forgot to put the 'graphics' folder in the game. Such a simple mistake. I'll reupload the file. Then it should work. I have no idea how I missed that. March 13th, 2019 (12:25 AM). how do i get alolan raichu?? March 13th, 2019 (5:12 AM). can you evolve trade evos such as kadabra and haunter without trading? March 13th, 2019 (8:07 AM). You can evolve Pikachu into Alolan Raichu by leveling it up in the Pokemon Resort, Grassy Path, Sunshine Path, or Terra Town. March 13th, 2019 (8:12 AM). There's no way to evolve those, as I didn't remember to fix those specific two. But all the others that would evolve by trade have ways to evolve, as for instance, Scyther evolves by simply using a Metal Coat on it. I'll have to change Kadabra and Haunter's. 1 Week Ago (6:49 AM). 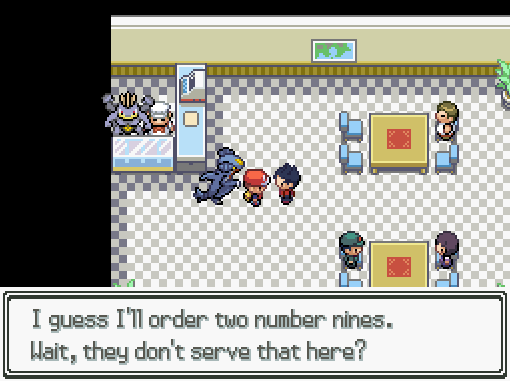 Where do you get Riolu and Froakie? I played the first game and want to use my same team from that game. I already have 2/3 of my original team. 6 Days Ago (6:27 AM). Hello, i downloaded the game and when i try to extract it, a warning "No archives found" pops. 6 Days Ago (1:28 PM). I tried the download link and worked fine. If you can, tell me more about this. 6 Days Ago (2:47 PM). 5 Days Ago (9:38 AM). How do you undo the Heart Gauge on Shadow pokemon you summon? 5 Days Ago (4:53 PM). 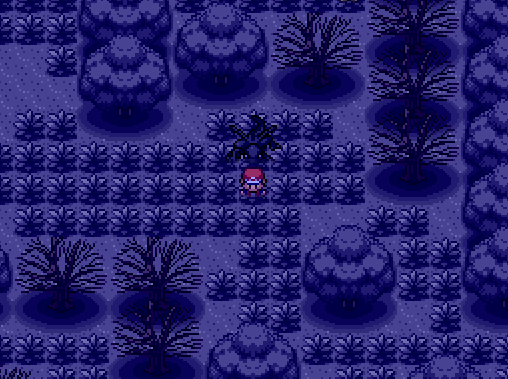 Right now, Shadow Pokemon can't be purified because I didn't think to add the Relic Stone. But because I figured this thing out, I'll have to release a new update soon so this problem won't be around any longer. Thanks for showing me this issue! 3 Days Ago (12:26 PM). Edited 3 Days Ago by phoenixianheart. Hello Gator Gamer! I noticed that cubone do not evolve to alolan marowak in Sunny path. Is this a bug? And does Alolan Raichu have a walking sprite or no? 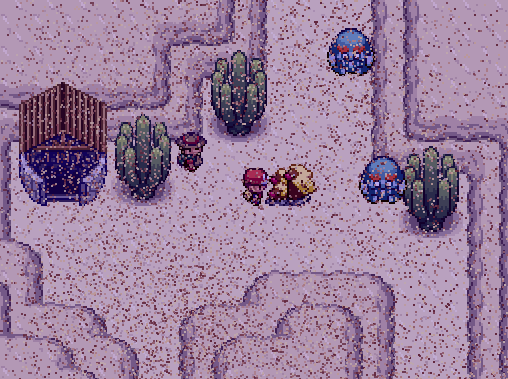 I also am noticing invisible NPC, like all of the Force Teams, Gym Guide, pirates, and certain NPC like one in Raindrop town and one chilling inside the hot springs. I hope you can fix it soon! 3 Days Ago (5:36 PM). I also am noticing invisible NPC, like all of the Force Teams. I hope you can fix it soon! Cubone evolves into Alolan Marowak only if you level it up specifically in Memorial Graveyard. It's no bug! Also, I looked and Alolan Raichu does not have a walking sprite. 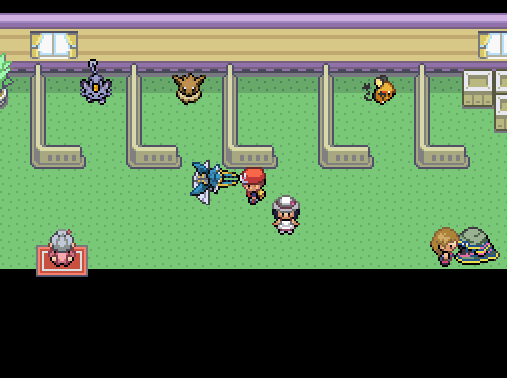 And for the missing sprites, I downloaded the latest version of the game and they look like they're appearing correctly. Maybe you could explain this problem a bit more? I will be uploading a new quick update later because I want to add the Relic Stone among other fixes. 2 Days Ago (8:46 PM). Hello again GatorGamer! Thanks for answering my questions. Where can I find houndour? 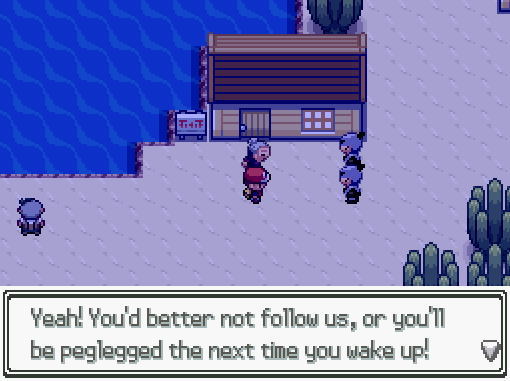 Would you please post... a pokemon list? I understand if that is too difficult! I will try downloading the version here and see if the invisible npc error goes away! 2 Days Ago (9:23 PM). I will post a complete Pokemon list tomorrow, so hold tight! Also, you can find Houndour in the eastern section of the Safari Zone currently.